This book is a fast-paced tutorial to developing ColdFusion applications using an object-oriented programming approach. Complete with code examples that can be altered and applied to your application and careful explanations, this book will guide you through your first interaction with object-oriented programming within your ColdFusion applications. 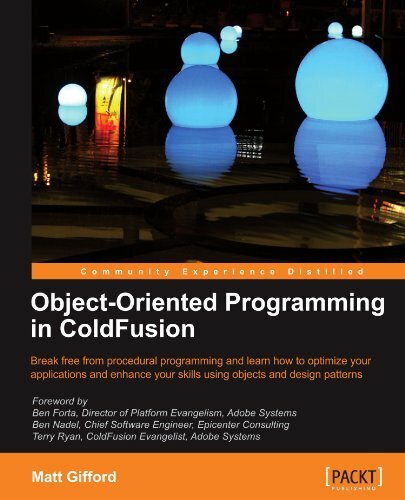 If you are a web developer wanting to implement object-oriented programming with ColdFusion, then this book is for you. If your goal is to get a good grounding in the basics of object-oriented programming concepts, this book is perfect for you. No prior knowledge of object-oriented programming is expected, but basic knowledge of ColdFusion development skills is assumed.